Brilliant ruby garnet color. 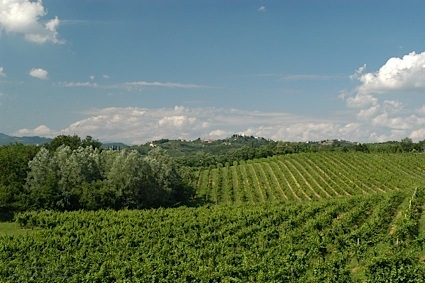 Fruity, spicy, floral aromas and flavors of spiced raspberries, floral blueberry honey, and baklava with a supple, tangy, off-dry medium body and a smooth, refreshing, medium-length finish that presents impressions of blackberries, nutskin, pickled melon rind, and blood orange finish. A very pure and appetizing berry-flavored mead. Bottom Line: A very pure and appetizing berry-flavored mead. 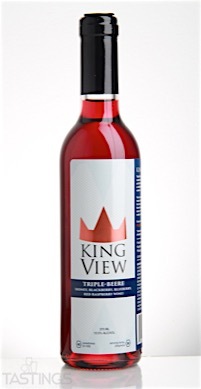 KingView Triple Beere rating was calculated by tastings.com to be 90 points out of 100 on 12/14/2016. Please note that MSRP may have changed since the date of our review.